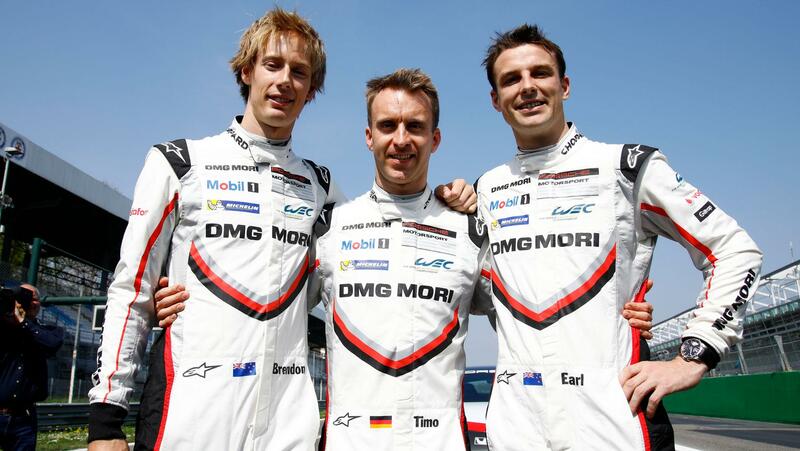 Kiwi racing stars Brendon Hartley and Earl Bamber, with Porsche team-mate Timo Bernhard, secured the 2017 FIA World Endurance Drivers’ and Manufacturers’ Championship at the penultimate round in Shanghai over the weekend. The result adds to a stellar year for Hartley and Bamber, from Palmerston North and Wanganui respectively, particularly with Hartley’s recent successful Formula 1 debut with Scuderia Toro Rosso and confirmation that he’s racing for the F1 team for the remaining three 2017 events. It is Hartley’s second WEC drivers’ title, the first coming in 2015 with Bernhard and Australian Mark Webber, and Bamber’s first. The friends who raced karts together as children swapped the stats around when they partnered with Bernhard to win the iconic Le Mans 24 Hours earlier this year – that was Bamber’s second Le Mans victory and Hartley’s first. From Shanghai, Hartley has jetted off to join Toro Rosso for the Brazilian Grand Prix next Monday (NZ time), before re-joining Bamber and Bernhard for the final WEC event of the season, the Six Hours of Bahrain, in two weeks. Meanwhile, Porsche has confirmed that Bamber will return to the IMSA WeatherTech SportsCar Championship in the GTLM class for the 2018 season, the series he contested for Porsche in 2015 and 2016. Christie also congratulates another New Zealander winning a major championship in a Porsche in Shanghai. “Chris van der Drift secured the 2017 Porsche Carrera Cup Asia Championship title over the weekend, where he battled Earl Bamber’s younger brother Will among a talented field to win the championship. It’s wonderful to also see Will Bamber secured third in this extremely competitive championship. “There’s also been exciting race action at the ITM Auckland SuperSprint over the weekend, with two New Zealanders – Scott McLaughlin and Fabian Coulthard – still in contention for the Supercars Championship title.